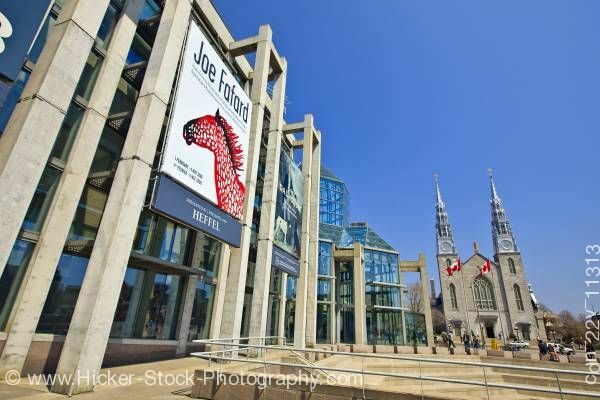 Stock photo of the entrance to the National Gallery of Canada with the Notre-Dame Cathedral Basilica in the background, City of Ottawa. National Gallery in Ottawa, Ontario, Canada. Entrance to the National Gallery of Canada and the facade of the Notre-Dame Cathedral in the city of Ottawa, Ontario, Canada.